Read Neat-Oh! International, LLC Archives of Older Product Reviews by TDmonthly. Watch Neat-Oh! International, LLC Archives of Older Product Videos by TDmonthly. 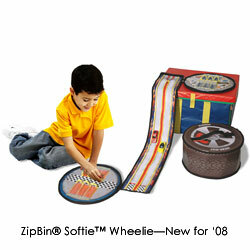 Neat-Oh!® ZipBin® play products are every mother's dream and the perfect solution for you! Do your children love to dump out their toys all over? Does it take you hours to clean-up and organize afterwards? Neat-Oh!® ZipBin® play products unzip from a toy box or tote to a playmat – all the toys are upzipped too so no more dumping and scattering! The playmat creates a play area that’s fun and clean any place it’s unzipped – at home, at a restaurant, in an airport, at Grandma’s house….just about anywhere. 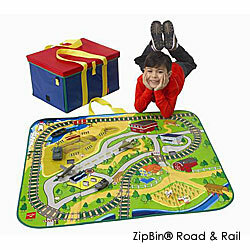 ZipBin® play products are great for mothers on the go and for kids who enjoy bringing their toys along for the ride. They are even food safe so they make a great lunch box or picnic mat as well.